In 2001, the principal at J.J. Flynn School in Burlington’s New North End approached the Flynn Center to propose that we find a meaningful way to partner together. After all, she said smiling, both the school and the arts organization shared the same namesake. Until this meeting, the Flynn Center had predominantly been focusing its school programs on providing in-school student workshops to connect to our matinee series to exend and enrich the students’ experience with the professional performances that came to our venue. We jumped at the opportunity to form a collaboration and asked what need was most pressing for the school to address. The answer was reading comprehension. The National Reading Panel (2000) had just released their landmark report, “Teaching Children to Read,” which identified five essential components of reading instruction: Phonemic Awareness, Phonics, Fluency, Vocabulary, and Comprehension. The Flynn took the findings and recommendations of the report and aligned specific performing arts strategies that addressed vocabulary and reading comprehension in particular and Words Come Alive was born. But many students struggle making the leap from decoding to comprehension, as they have a purely technical interaction with the text through a process of decoding the symbols without the metacognitive functions that help to connect vivid imagery to the words they read. In Marilyn Jager Adams’ Model of Skilled Reading, we see the beginning reader faced with the task of connecting the phonological processor with the orthographic processor so that the connection between spoken and printed words is made explicit. It is only then that students can access semantic information or meaning derived from text. When the orthographic, phonological and context processors all work together with the semantic processor and their individual connections to one another are strong, comprehension is finally within students’ reach. Embodied and active engagement with a story or concept from a classroom reading through theater or dance is exactly the type of activity that can fire all processors to work together, often unlocking a door to a text that the student had previously been unable to enter. This model of “learning by doing” is experienced in each phase of the Words Come Alive process, as teacher professional development takes on a hands-on approach and teaching artists and teachers co-create and explore units of curriculum through an interdisciplinary lens, with teachers testing out new ideas in their classes with the feedback and support of their artist partner. Debby King, Director of Curriculum in Milton Town School District, notes that teachers in this program are given the opportunity to develop and refine their own creative impulses, which in turn get brought into their classrooms. Furthermore, there is a high level of flexibility in the model. Teachers may bring any content or curricular unit to the partnership to undergo a thorough review and examination of ways in which aesthetic elements from either theater or dance could be integrated into the subject matter at hand. 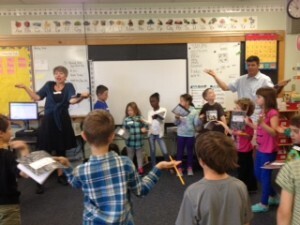 Fifteen years and thousands of classroom workshops have likewise yielded a long list of possible topics that have been successfully explored in schools to introduce teachers to the elements of theater and dance and lead them to experience how movement and drama techniques can strengthen comprehension and deepen engagement. The teacher workshops are a critical component of the work in changing the way a teacher approaches teaching in the classroom, but the in-class component reinforces and supports this learning. After planning sessions take place between the Flynn teaching artist and the teacher, the unit(s) planned are implemented in a co-teaching environment. Early on in the partnership, the teaching artist models the arts integrated elements of the content for the teacher and her students. Built into this is time for the two to reflect on what worked and what didn’t work after each lesson is completed. As the partnership develops and the teacher gains more confidence, the responsibility for implementing the integrated curriculum shifts subtly, scaffolding the teacher’s role toward complete ownership. This is a model of praxis with an intentional focus on connecting learning with action, reflection, and transformation. What is wonderful to see is that the transformation occurs concurrently with both the teacher and her students. In placing the teacher in the role of learner, the classroom becomes a dynamic center for experimentation, risk and—above all—play. 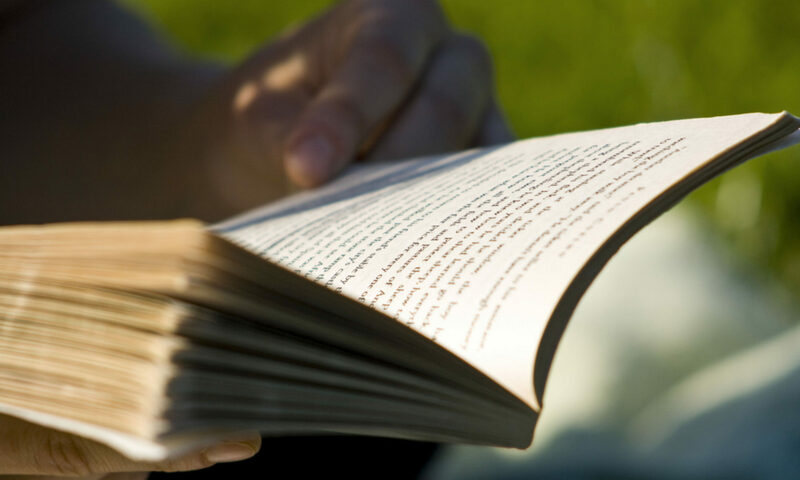 By actively engaging students, they become ecosystems, they embody poems, and they take empathetic stances toward characters that they portray in stories that they encounter in their literacy instruction. Always, the Flynn’s focus is on supporting and encouraging teachers to provide their students with opportunities to experience the content they are teaching in personal, embodied ways. John Dewey’s vision of art as experience is the primary frame for this model and focuses on helping teachers and students alike internalize artistic processes as a way to access understanding and create meaning relevant to the unique perspective of each individual. Dewey, J. (1934). Art as Experience. New York: Penguin Books. I lugged the bulging sack to my car and daydreamed about sliding the contents out onto my couch and settling in for my yearly indulgence. I had this year’s ten Red Clover books! I felt like a seven-year old on her birthday, about to pull the wrapping paper off of my long-awaited gift! The Vermont Children’s Choice Picture Book Award for students in grades K-4 is in its 19th year, and I urge you to take advantage of its magic. Even if your students are too old to vote, these books are must-reads. Reading the ten nominated books which were all published the previous year and planning activities to deepen understandings, make connections, ignite curiosity, and further inspire a love of books is a yearly favorite of mine! This year’s nominees include a graphic romp through the forest, a record snowstorm, a century old coat, the power of stories, two poetry collections, a brilliant mouse and the curiosity of an astronomer, a most miraculous elephant seal, and a dog’s definition of friendship. 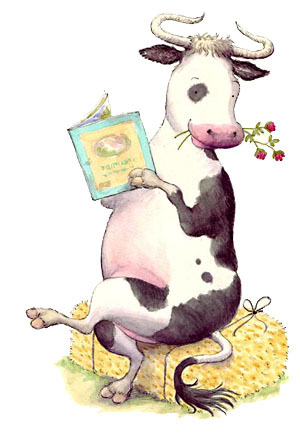 Although we can’t cast votes for our own favorite Red Clover books (and I’ve been secretly jealous), it would be close to impossible to choose. Let’s leave it to the 5-10 year olds. Please plan to access these gems, and share them with others in VT.